Grandparents have a precious role in a child's and youth's spiritual and religious development. Grandparent Testimony from the Archdiocese of Saint Paul and Minneapolis, see it onProclaim on Vimeo. 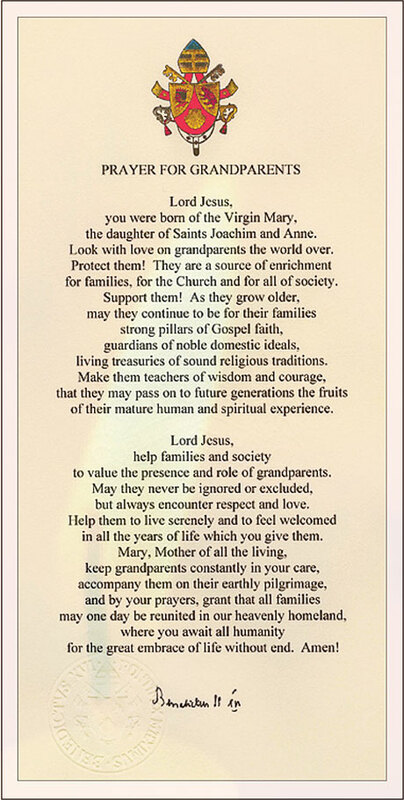 The childrens’ Prayer Appeal - Children are invited to compose prayers in honour of their Grandparents. These are presented at the Offertory during Pilgrimage Masses. Adopt-a-Prayer-Child - Grandparents Pray for sick children by name.